My first pair of socks! I put off attempting socks for so long; I was intimidated by the turn at the heel. It wasn’t as tough as I’d imagined. 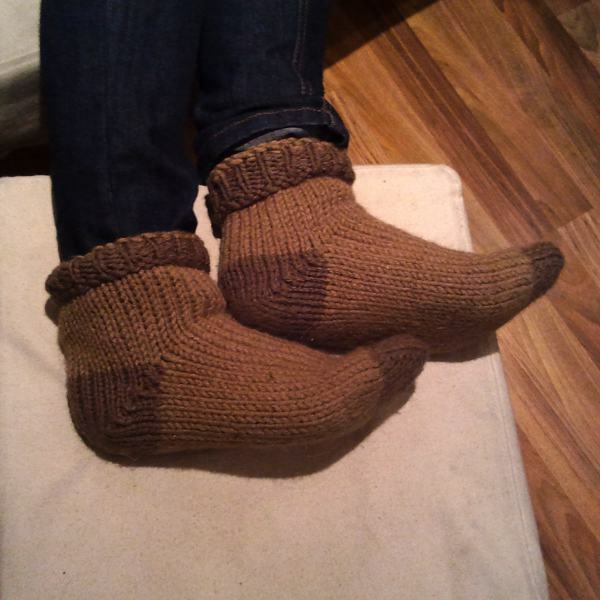 Many thanks to Hanna, who gave me a big dollop of encouragement, and a link to this quite straight-forward sock pattern. Wow – they look cosy! I’m no knitter, but I’ll forward that link to a knitting friend, thanks! I am so going to attempt these!